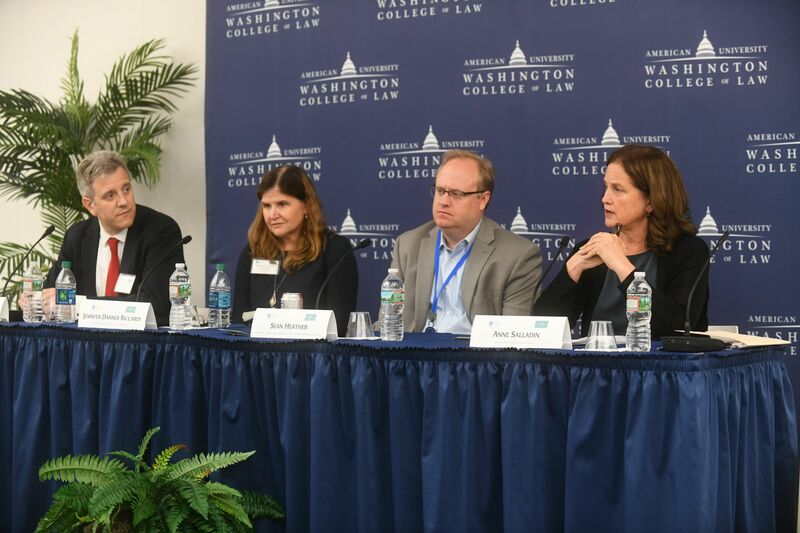 On July 12-14, 2018, American University Washington College of Law (AUWCL) proudly hosted the Sixth Biennial Global Conference of the Society of International Economic Law (SIEL) on “International Economic Law in Unsettling Times”, the largest conference in the history of SIEL. 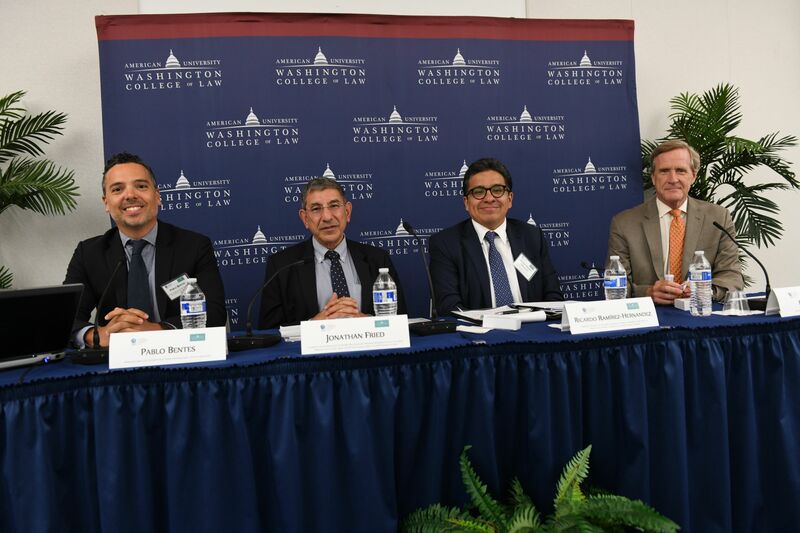 Prof. Ala’i, Director of International and Comparative Legal Studies at AUWCL and Member of SIEL Executive Council, led AUWCL team in hosting the conference that convened for the first time in the U.S. The Conference attracted 300 attendees from around the world, including 194 speakers presenting 150 papers. It featured 8 plenary sessions and 28 concurrent panels on compelling topics such as WTO’s Appellate Body and the NAFTA in unsettling times, security and necessity exceptions in international trade; the multilateral trading system post-Brexit; digital trade and data governance; and the multilateral investment court. The conference keynotes and plenary sessions were delivered by highly respected experts in international economic law. Hélène Ruiz Fabri, Director of the Max Planck Institute, Luxembourg, opened the conference with a lecture on a feminist approach to international economic law in unsettling times. She particularly emphasized the international trade community must be vigilant in protecting the rights of women, minorities, and the poor. 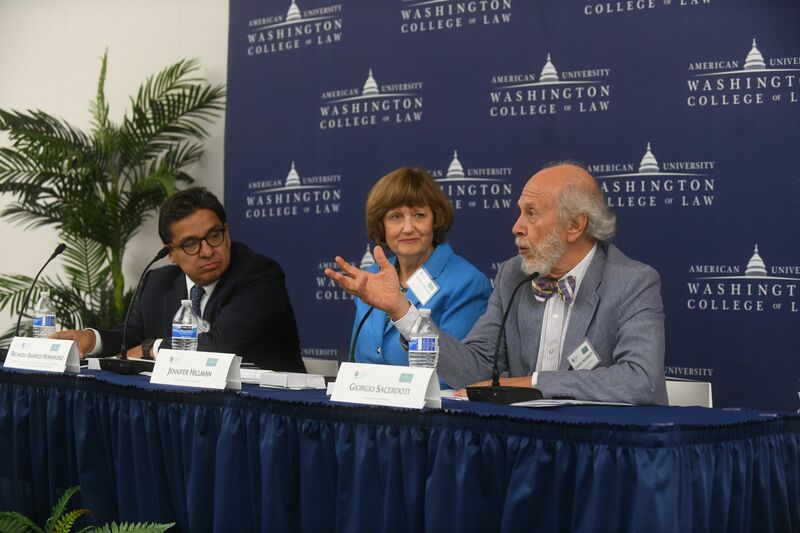 The keynote lecture was followed by a remarkable session composed of former WTO Appellate Body members (Jennifer Hillman, Ricardo Ramírez-Hernández and Giorgio Sacerdoti). The panel focused on the current challenges at the WTO Appellate Body caused by the US blocking appointment and reappointment of AB members, and the possible solutions to this practice. Suggestions included reform of Rules of the Working Procedure for Appellate Review, and direct negotiations with members objecting to the practice of the Appellate Body. Another challenge to the international economic order is the US’s position toward the NAFTA. Rufus Yerxa (National Foreign Trade Council) and Jonathan Fried (Head Lawyer for Canada during the NAFTA negotiations) believed that NAFTA has been a remarkable success, and all parties should engage in modernizing the agreement to keep North America competitive, and to maintain a rule-based predictable and stable framework for businesses. The next panel on Security-Based Investment Restrictions discussed the need to modernize the U.S. authorities under Committee on Foreign Investment in the United States (CFIUS), especially in the changing context of China rising as the director investor in the US. The same need to screen more closely foreign investments applies to the EU. Together with proposing to its member states to increase cooperation and transparency in investment screening, the EU also cooperates with its allies including the United States and Japan on investment screening and other issues particularly related to China, said Riccardi, Special Trade Advisor to the delegation of the EU to the US. Financial sector also faces many challenges in these unsettling times. 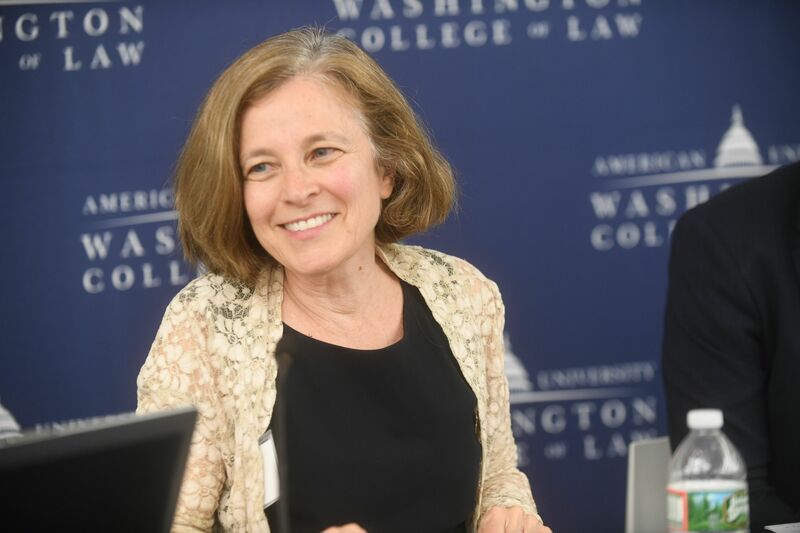 According to Sarah Raskin, former US Deputy Secretary of the Treasury, the beginning of a trade war in the US has significant potential ramifications for inflation, jobs, price stability and the overall stability of US economy as well as other economies. Sean Hagan (IMF) and Douglas W. Arner (University of Hong Kong) added that excessive debts, data privacy, technology, and cyber security – all create risks to the stability of financial sector. The panelists were optimistic that the current international framework is equipped to deal with these challenges facing financial sector. Joel Trachtman, Professor of Law at The Fletcher School of Law and Diplomacy, gave a more overarching view on trade, domestic regulation, and globalization in his annual Robert Hudec Lecture. The lecture highlighted three main issues: how to achieve greater international cooperation in trade; the WTO dispute settlement body’s avoidance of making cross sectorial tradeoffs that would overcome fragmentation; and the need to implement majority voting to reach an efficient level of international law making, even if fragmentation issues are resolved. The conference closed with the lecture on Special Economic Zones (SEZs) as a catalyst for international trade and development in unsettling times by Teresa Cheng, Hong Kong Secretary for Justice. She particularly highlighted challenges that commonly face SEZs, such as issues with dispute settlement, technology, sustainable development, collaboration, and the lack of synergy between SEZs and free trade initiatives. The Conference Proceedings that contain papers presented at the Conference are available at https://www.ssrn.com/link/SIEL-2018-WashingtonDC-Conference.html.